Sorry folks, the give-away is only open to readers in Europe, USA and Canada. Be sure to enter latest Midnight GMT Thursday 23rd January 2014. Don't forget to leave your e-mail address so I contact you. The winner will be announced here and Twitter on Friday 24th January. Good luck! Very nicelooking boxes!! Amazing idea. I'd like to cook cupcakes lithe these ones! Very goodlooking boxes. Perfect for many occasions. Liked on FB as Magda O'gau. oh! washi tapes, cords & cupcake boxes to complete the set! This is such a cute gift idea for valentine's day http://selfpackaging.com/en/root/home/ideas-i2001s09-little-bag-in-kraft-colour-for-valentines-day-348.html. Maja, Ängelholm. 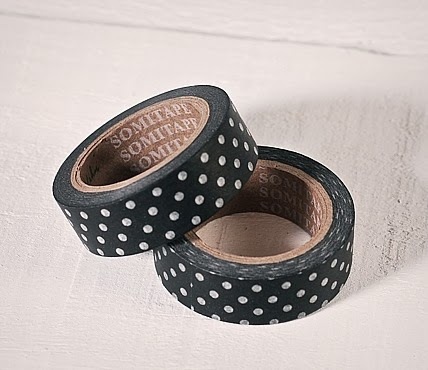 I think it would have to be the washi tape. But I love all the differs boxes! I like everything! 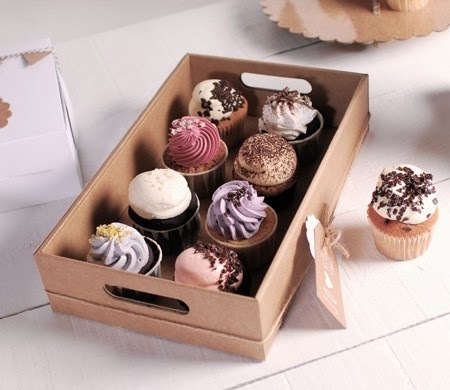 it is all so cute, but the cupacakes boxes are really amazing! The star box is so cute! It can serve as an ornament too and it has my favorite purple color! I love everything but the cupcake washi tape is adorable! I love the cakes exhibitor and all the boxes, one can never have enough of. But There is so much more I would like! Washi Tape, Double Sided Tape, the Star and Button hole punchers, ribbons, felt items, and tags. All fun things for crafting with my toddler son (although right now he is addicted to cutting paper with scissors). Thanks for the lovely contest. 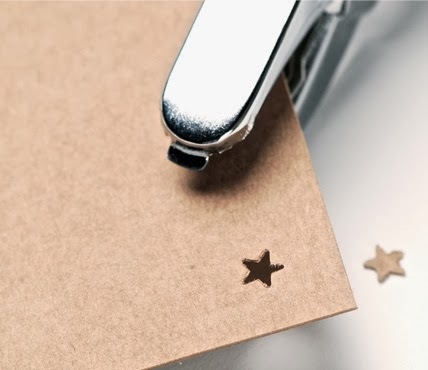 For Valentine's day I would love the heart hole puncher to decorate cards and gift boxes for my boyfriend. Super cute! I like the "simple triangle box" - very elegant and unusual shape! Great webshop, didn't know it before. I'd like to have some new black and white washi tapes and simple triangular gift box for packing handmade chocolates! I love the picnic boxes! 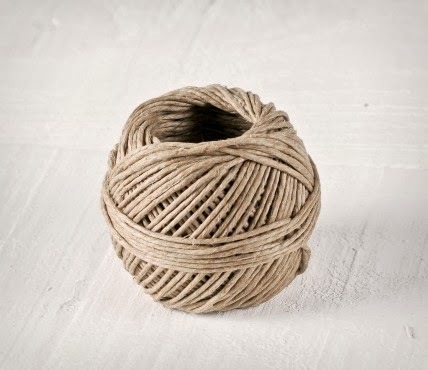 So simple but you could easily dress them up with some washi tape or baker's twine. Hello! I love the clear box for four cupcakes since I have four dear !! colleagues whom I'd like to surprise with it! Thank's!! I love the cupcakes, so cute!! gold washi tape, golden glitter washi tape, some lace ribbons, bakers twine, star punch, the simple triangular gift box is lovely! Nice give-away! I realy love the 'you are my star'-ribbon. That's exactly what I feel for my love! My next purchase would definitely be washi tape, nice selection in this shop. Everything it's so cute! But my favorite it's the cupcake box, to put confeti on it and a little jewelry present ;). I like the Simple triangular gift box in metallic gold. The shape and the color are beautiful. There could be anything as a gift in it, I don't mind since I prefer spending time and a good meal with my boyfriend for Valentine's Day. I love everything! I am planning on making cranberry jam for friends for valentine's day so I would love the picnic box they have! So cute! Oh my goodness, what a website! I would love the blue and white bakers twine, I just can't get enough of it! Limited edition printed box would be fab for anyones gift really so it has to be my favourite. I love the hearts washi tape, neon pink and green washi tape, a hot glue gun, baker's twine, and a heart or star tool. I'd love to use some individual cupcake boxes to give some fancy treats to friends for v-day! I love crafts and everything in this store! Wow this give away is awsome! hi this give away is the best! Everything is beautifull but I like washi tapes the most. Thank you for the wonderful inspiration on your blog! I am IN LOVE with the 'I think you are magic' boxes....they melt my heart :) And perfect packaging for my significant other on valentine's day! It might seem an odd choice, but it has a quite simple explanation: my boyfriend’s surname translates into Rabbit and I’d fill this package with a few little meaningful treats for St Valentine’s Day. Yes! Still, I also got my eyes on this http://selfpackaging.com/en/root/home/boxes-1611-split-gift-box-with-sleeve-58.html?fromIdea=973 because I love the way it opens and I could come up with a boyfriend’s trophy, and this http://selfpackaging.com/en/root/home/ideas-i221607-box-for-a-cupcake-for-weddings-674.html because it’s sophisticated and beautiful without diverting the focus from the good inside! i would love the small picnic boxes - perfect for cookies, as well as the cardboard bordered big tags, felt heart stickers and washi tape in grey and/or black polka dots. The mini clothes pegs are so cute as well. I liked the washi tapes to do all the washi projects on pinterest. This is a beautiful idea! I would love to give my boyfriend some homemade Valentine's treats in a Picnic box with button, stamp and heart decoration. Everything here is so cute, it's hard to choose!